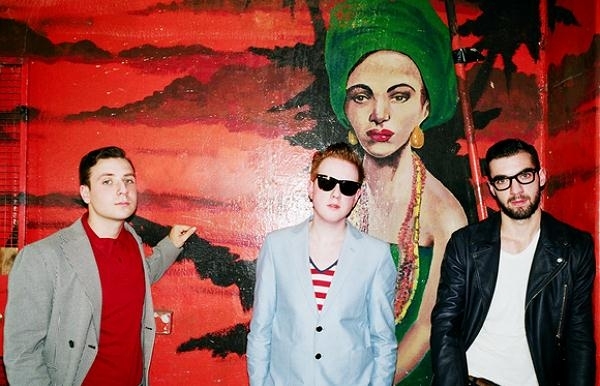 Following their recent crowd-pulling performance at T In The Park in Scotland, Alex Trimble's appearance at the 2012 London Olympics Opening Ceremony, and just prior to their big slots at Reading and Leeds Festivals next month, Two Door Cinema Club have today confirmed an intimate UK tour for September. Two Door Cinema Club Tickets are on sale from 9am on Friday 3rd August. 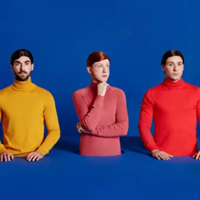 Earlier this month Two Door Cinema Club's new single 'Sleep Alone' made it's worldwide radio debut. The single was released digitally on 21st July and a limited edition 7" will be available on 3rd September through Kitsuné. 'Sleep Alone' is now streaming over at Soundcloud and on YouTube. 'Sleep Alone' is the first single from Two Door Cinema Club's highly-anticipated new album 'Beacon'. The announcement of the new album resulted in the band trending worldwide on Twitter and their Facebook profile surpassing 1 million likes. 'Beacon' will be released on September 3rd on Kitsuné. Two Door Cinema Club Tickets are on sale from 9am on Friday 3rd August. Click Here to Compare & Buy Two Door Cinema Club Tickets. Two Door Cinema Club will play an intimate London show next week. Two Door Cinema Club have shared their first new music since 2016's 'Gameshow'. Forget the difficult second album, it’s the third that’s the really tricky one. It arrives at a point in an artist’s career where they’ve had their fun, but now need to knuckle down and get a little more serious. Admittedly, there have been some great ones over the years (see ‘London Calling’, ‘OK Computer’ or ‘In Utero’) but many fail to successfully straddle the line between keeping up a band’s initial appeal while offering up something new and exciting.